PARADISE LOST - GOTHIC DELUXE EDIT. VINYL (LP) | Online Shop | Wizard LTD. Album: "GOTHIC DELUXE EDIT. 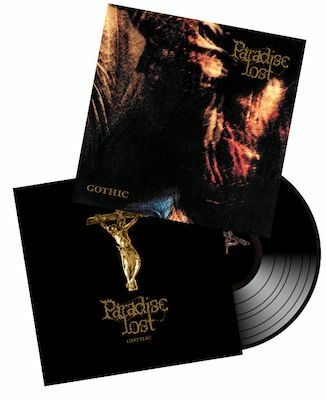 VINYL (LP)"
Gothic, from 1991, was the genre-defining second album by Gothic Doom Metal progenitors, Paradise Lost. Creating a more melancholy and sonically detailed form of Doom Metal, Paradise Lost offered distinctive lead guitar melodies and atmospheric arrangements that - along with fellow travellers Anathema and My Dying Bride - placed them at the forefront of the 1990s extreme Metal scene. This edition of Gothic is available on 180gm black vinyl.